BENEDICTA, a mid-sixth century nun at a monastery founded by her close friend St. Galla (5th October).in Rome. St. Gregory the Dialogist (3rd September) relates that St. Peter the Apostle (29th June) appeared to St. Benedicta in a vision and prophesied her repose. EDBERT (EADBERT), a monk at Lindisfarne and successor of St. Cuthbert (20th March) as Bishop. St. Edbert had a remarkable knowledge of the Holy Scripture and was renowned for his charity to the poor. He reposed 698, and, at his direction, was buried under the incorrupt remains of St. Cuthbert. JUSTUS of VIENNE, the fifth Bishop of Vienne, he reposed circa 168, and was succeeded by St. Dionysius of Vienne (8th May). HELIODORUS, VENUSTUS, and COMPANIONS, (Third Century), a group of over seventy martyred during the Diocletianic Persecution in North Africa. However, St. Ambrose of Milan (7th December) claims that all but a few were martyred in Milan. PETRONAX, following the Lombard invasions and associated sack of the abbey, St. Petronax with a handful of monks set about re-building the Abbey of Monte Cassino. With St. Petronax serving as Abbot, the Abbey was soon attracting many monks as it came to be known as centre of learning and holiness again. 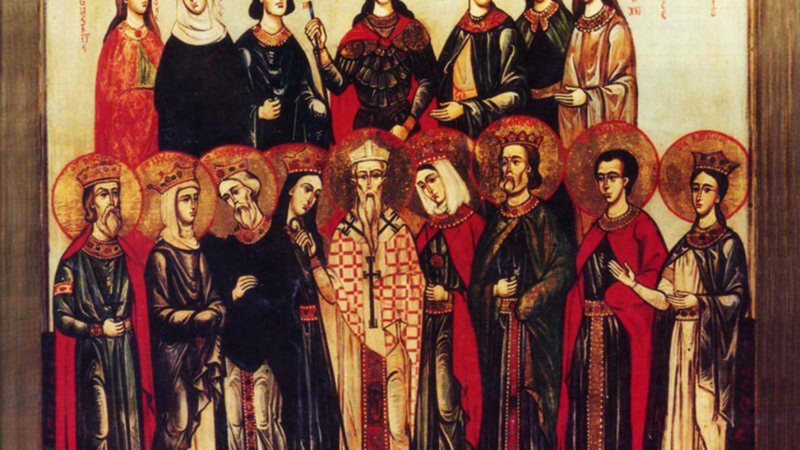 St. Petronax’s disciples included SS. Willibald (7th July) and Sturmi of Fulda (17th December). St. Petronax reposed circa 747.